The essays are derived from common themes in baseball but relate to dilemmas experienced off the field. The chapter “Some Days You’re the Bat, Some Days You’re the Ball” is an allusion to good days versus bad and reminds children that some rules have reasons, although they will probably question them. The sage guidance offers ways to control your emotions by channeling them into better efforts and tips to summon courage whether you are standing at the bat, undergoing surgery, or delivering a speech. The importance of paying attention to detail and respect for authority, along with advice on how to deal with adversity, is included in this indispensable compilation. Andy Norwood underscores the significance of teamwork, self-sacrifice, and the humility experienced after a loss. Each lesson is preceded by a quote from such celebrities as Jay Leno, Maya Angelou, and Albert Einstein. The work incorporates anecdotes from Major League Baseball and significant moments in the sport’s history, making this book an enjoyable read for adults and their children. Andy Norwood is an attorney with Waller Lansden Dortch & Davis, where he focuses on intellectual property issues. 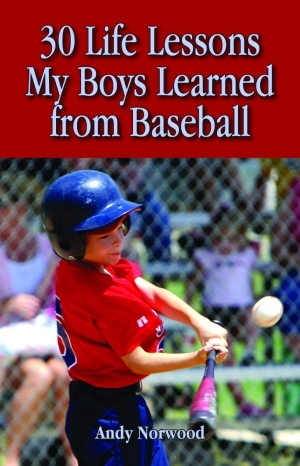 During his off time, he coached his sons Little League team, an experience that inspired him to write his first book. Norwood graduated from the University of Alabama with a degree in communications, double majoring in journalism and creative writing. He also earned a degree from the University of Alabama School of Law. He is a member of the University of Alabama Alumni Association, the Nashville and American Bar Associations, and the Publishers Association of the South. Norwood resides in Franklin, Tennessee.